Looks like a well loved keyboard. RGB mods, hadadapter and og cherry keycaps. 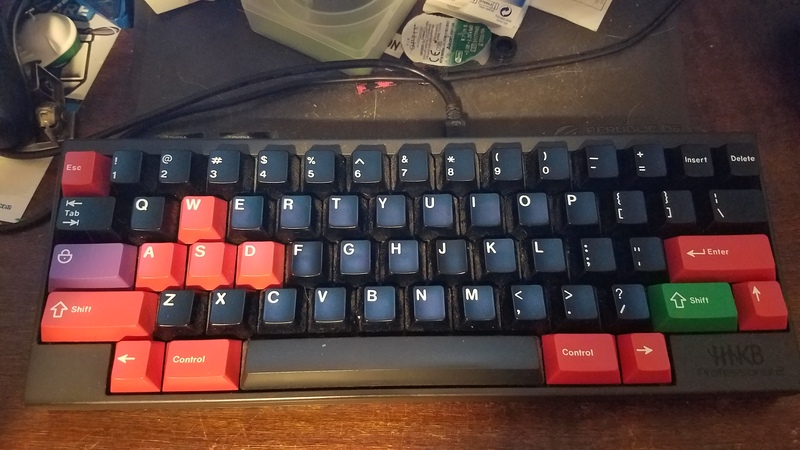 Basically it's been my only keyboard since just a bit after the first keycon. Novatouched, 55g domes, gmk and at one point hasu controller than I managed to short out with a ****ty mini usb plug. Good stuff but I miss 10key. Probably would be easier just to buy the set. I'm assuming the ones you have are from EK which I think are V1. Ceresia is one of the new colors, P3. Looking forward to grabbing a set of Ceresia myself. Likely, yeah. And I'm sure I probably will, but doesn't hurt asking. 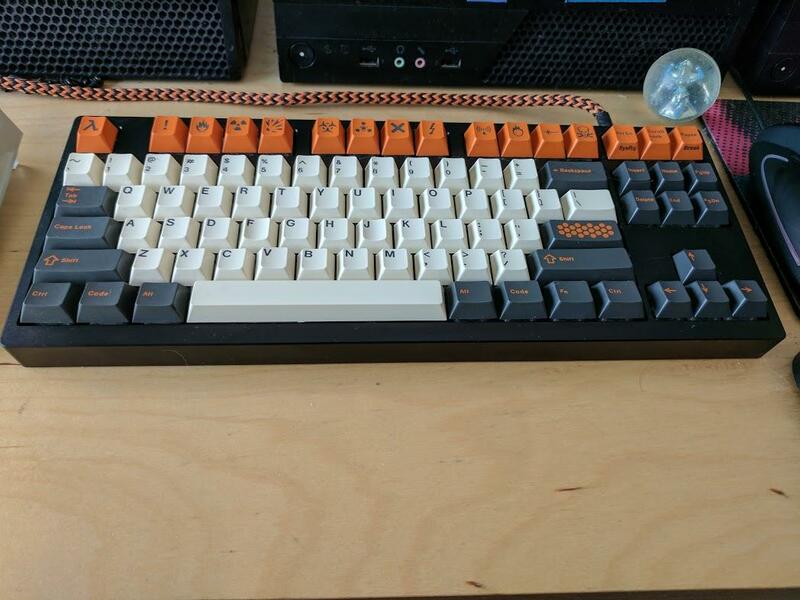 Soooo can anyone tell me how GMK feels? Is it grainy and dry? Is it comfortably curved? Is it thin or thick? After reading a few posts in this thread, I start to realize why GMK can still prosper despite being ABS plastic. They're not only key caps for the users - they're source of fascination in color combinations, and thick ABS typing feel. So the users can ignore the pseudo-non-hygienic looking ABS shine on the caps when it comes, and they're willing to live with it, with their beloved toy, a source of visual inspiration. 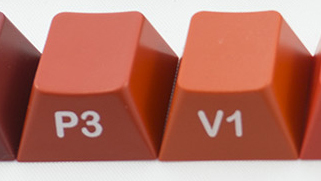 It's freaking insane: some ABS plastic caps are standard and come with no extra charge on keyboards, and some are like $200 per set, and have to be shipped from Germany to the US before being shipped to Germany again before I can have it. 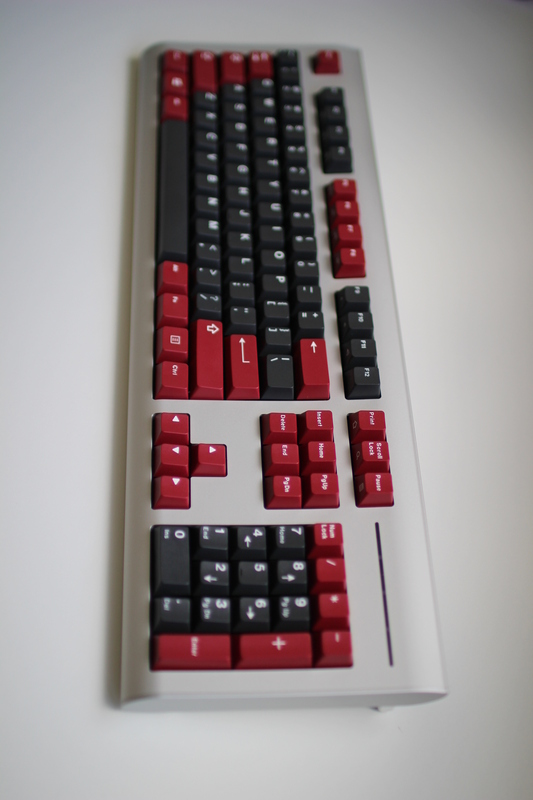 GMK profile and height is probably the best for typing, they are thick, their weight works well with all the MX switch types and their look is excellent, the legends are bold and well defined and their design is nice. However, there has been, and will be, a never ending discussion on the preference for ABS or PBT, some advocates of the last, have been very vocal against ABS. I have used both materials and I have decided to use only Cherry and GMK ABS, because, the profile and thickness make a great difference. You should decide what do you prefer, after trying yourself both. It is entirely a personal choice. Fairly low profile, thick, cherry profile doubleshots. New GMK is very different from heavily used GMK, but you don't really notice the changes until you buy a new set. I really like how thick it is, as well as how it wears with use. It's sort of like raw denim, in that you know exactly why certain keys are more worn than others, and why they're worn. That is the best kind of ISO. The more comfortable layout I have used so far. I am waiting for a HAD set from Wodam to get the Icon Mods along with and put them to good use with this bad boi. Also, a nice old NCR set is on its way to try the c-profile tilde and the e-profile pipe-backslash. I am not sure to use the short 1.25u shift instead of my current 2.25u one. Any german guy that can explain the color codes? Not to mention the lack of centered legends. I know that irks a lot of people, but it doesn't matter to me. GMK is still very nice. 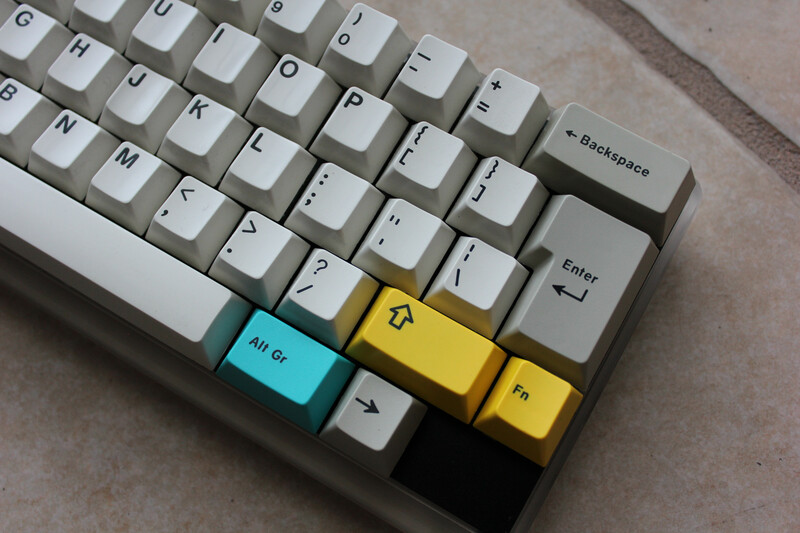 I look forward to GMK Penumbra. Much better than my Master Keys Pro S stock caps! 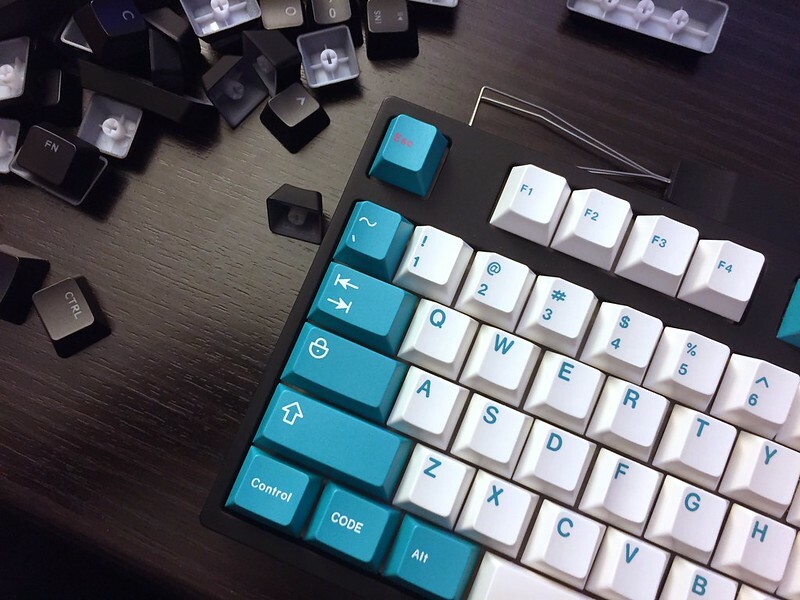 Sky Dolch coming pretty soon! Eagerly awaiting Norbauer's 2nd CM Case Group Buy! Don't you mean SPACE MONKEY? I think you might like that look a bit better with Skidata+ and not Carbon. 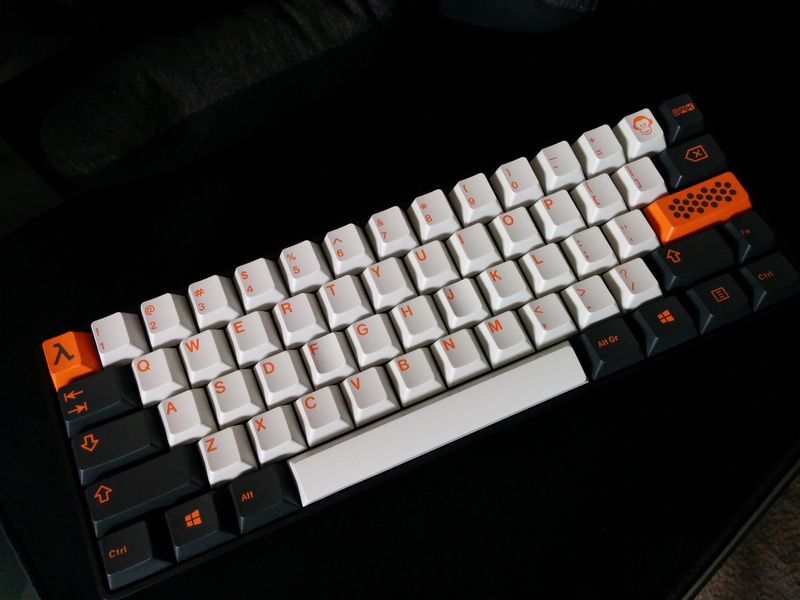 The orange in Carbon doesn't match the Monkey, while Skidata+ uses the same orange as Monkey. Very nice, what is the color code of that red? Is It a standard color? Are these keys really this yellow? The white balance looks right, though. 2nd picture is more accurate. However, the mods are much richer than either picture. Edit: Actually, I don't know. It'll depend on monitors of course. They're both yellow and pale, but not too pale. I really liked the mods in this set; but, the yellow discouraged me to join the GB. Thank you for sharing. Your images help releasing me from non-buyer remorse. Would a dark gray space bar match the set better? The pink spacebar came with the sliders but I wanted use it a little before putting it somewhere safe. The only other spacebar I have was the original hhkb spacebar. 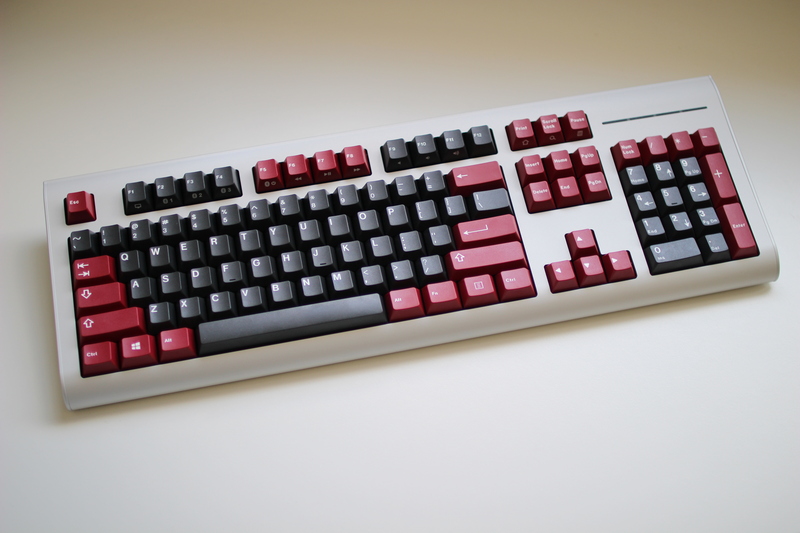 Thats the burgundy color and its a standard GMK color. The color code for it is RO1. Its wonderful! Is it a new GMK production with dolch added? 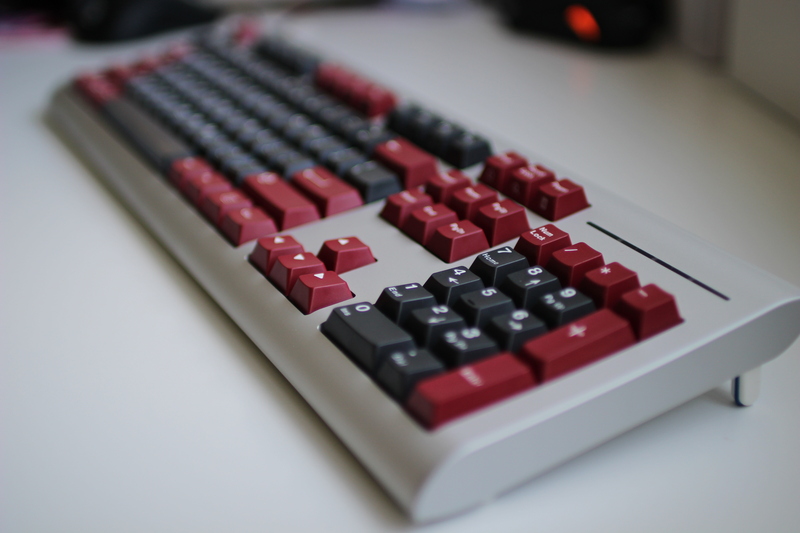 I am not sure about Cherry's modern keyboards, but when I look at SkiDATA and WEY keyboards, I know GMK has the best tank-like made-in-Germany keyboards money can buy. 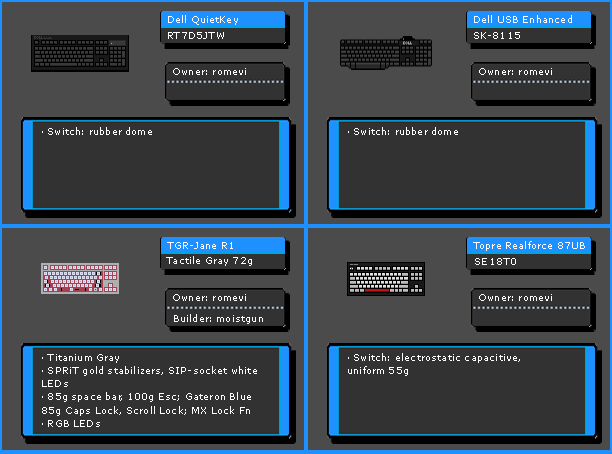 Awww you are one of the luckiest people on earth to use X60 first. 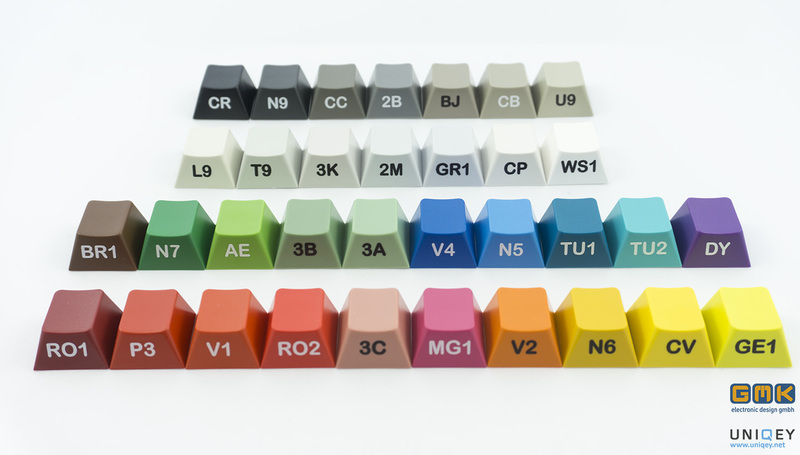 The current available variety of colors in GMK sets is amazing; while just a few years ago, most of the sets were the classic beige, dolch, olivetti and black. Nice! where does this come from? Neat little project you got going on. Awesome shots, man. This series is great! Page created in 0.135 seconds with 92 queries.